Community Cultural Development (CCD) at STARTTS aims to develop cultural capital, production, training and access to the arts for community groups, professional artists and youth from a refugee background in NSW. Art, music, cookery, dance, writing, storytelling, fashion, workshops, performances, literature, exhibitions… Community Cultural Development covers all these and more. Sometimes we directly initiate projects in response to the needs of various refugee communities. These needs may involve many things, including mental health issues, but if arts or cultural practice can make a difference to these needs then we can work on projects to do so. At other times groups come to us with a project in mind but want help running it. The STARTTS CCD project can provide helpful information about many areas of arts practice, and if we don’t know it, then we know someone who does! At times people are already running their own projects, but approach CCD for extra support. 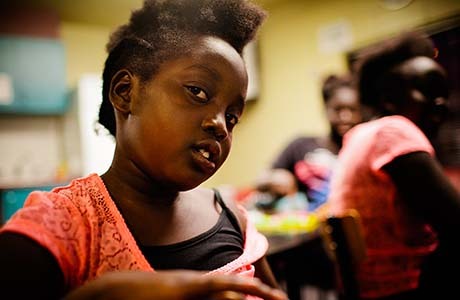 By linking community groups into established artistic networks, CCD has succeeded in taking many projects to the next level. STARTTS Community Cultural Development enables refugee communities to engage in cultural production and have unique access to artistic support and mentoring. Giving communities and individuals the chance to engage artistically not only helps many refugees to realise their considerable talents and skills, and to show these to the wider public, it also can be hugely beneficial to mental and social wellbeing. Afro Contemporary Youth Dance, also known as ACYD, is a dynamic western Sydney based dance troupe made up of young people aged 12-21. 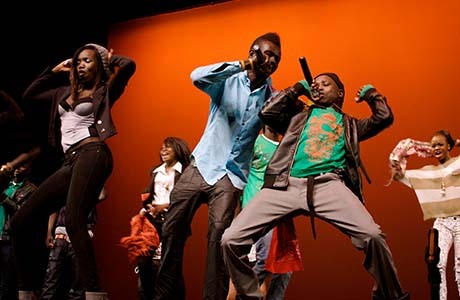 This group emerged from the Dancing in Harmony Project – a STARTTS community and cultural development initiative, aimed at enhancing the connections between Sydney’s African refugee communities and the wider Australian community. By sharing their cultures through dance, ACYD have gone from strength to strength and have established themselves as performers and artists in their own right. Dance Africa Dance, held on 30 November 2012 at Riverside Theatres Parramatta, showcased ongoing work from various Sydney-based African Australian dance groups, and demonstrated the breadth of skill and talent in the community. Works included the first performace of the newly formed Afro Contemporary Youth Dance Group; Project Bantu performing Capoeira Angola; a modern dance work by well known choreographer Martin del Amo; the Sierra Leone Women’s Cultural Performance Group with Francois Awad directing a live-video and dnace performance; a professional company of African Australian performers lead by Lucky Lartey; and rappers Masta One and Dovi Dovi jamming together. 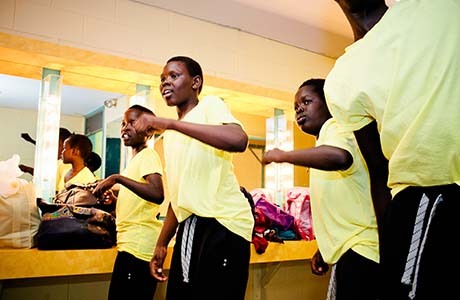 The performance involved African Australian youth, community cultural groups, professional dancers, musicians and choreographers who have been meeting and rehearsing around Western Sydney. It straddles professional practice and its margins, and showcases a diverse blend of traditional African and contemporary Australian performance. How does a performance come together? What was the process for creating the Sierra Leone Performance Group piece for Dance Africa Dance? Find out in this video. STARTTS Community Cultural Development is funded by the Australia Council for the Arts and the Westpac Foundation.